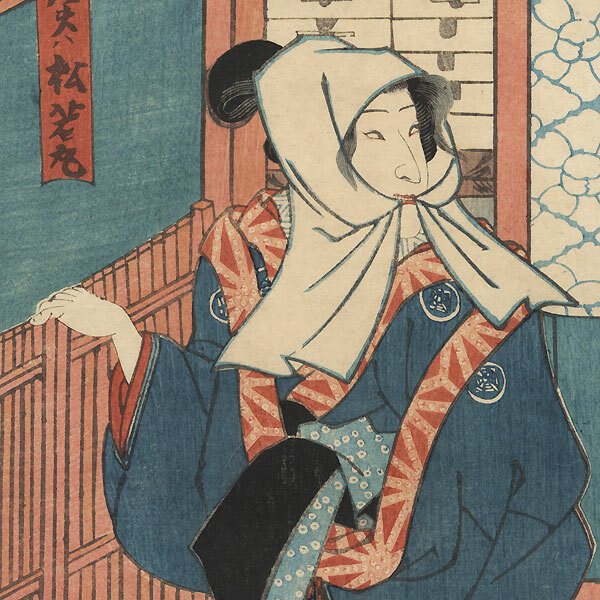 Comments - Attractive kabuki scene of a beauty pausing in a doorway, looking back over her shoulder with a smile, the sides of her scarf caught between her teeth. 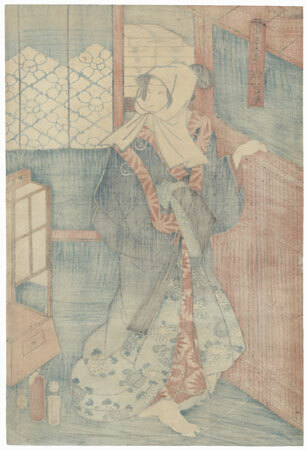 She wears a shaded blue outer robe bordered with chrysanthemums over a matching kimono and red tie-dyed under robe, tied with an obi that reverses from blue and white dots to black. A lamp rests on the floor behind her, and boxes are stacked in an alcove at top center. A handsome design, nicely detailed. 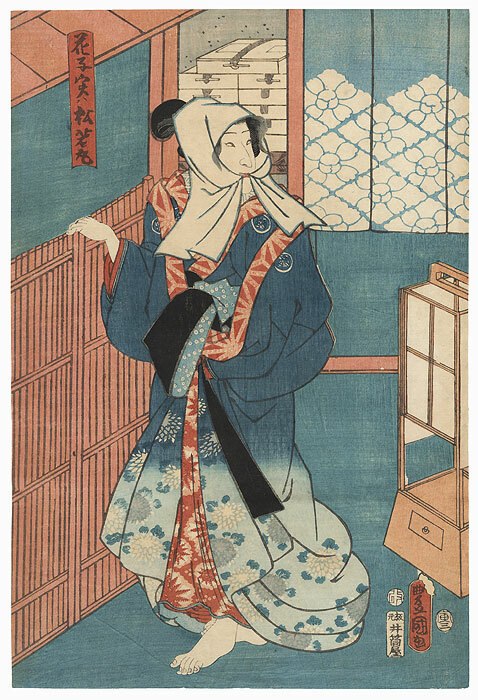 Image Size - 13 7/8" x 9 3/8"
Condition - This print with excellent detail as shown. A couple light horizontal folds. Slight toning, slight soiling and creasing at edges. Please see photos for details.